Usage Note: Master has been a productive source of compounds in English, evidenced by words such as masterpiece, concertmaster, mastermind, and masterstroke, to name just a few. It is also used frequently on its own as a noun, verb, and adjective, with meanings ranging from an original document that is to be copied to a man who serves as the head of a household. The latter sense lends the word masculine connotations, which, along with the word's associations with the institutions of slavery, causes some people to be offended by the use of master in any form. Nonetheless, many senses of master, such as the noun sense an expert and the verb sense to make oneself an expert at, have long been thought of as gender-neutral and are in wide use. Some compounds, like masterpiece and master plan, have lost most, if not all, of their associations with maleness. They exist as distinct words, and people do not usually think of them as a combination of parts each containing a different meaning. An outstanding work of art or craft. The greatest work, as of an artist. Originally, the term masterpiece (or chef d'oeuvre) referred to a piece of handicraft art produced by a journeyman aspiring to become a master craftsman in the old European guild system, which is partially retained today only in Germany. These were (or are) typically perfect pieces of handicraft art, admired for their beauty and elegance. Hegel used the words Herr und Knecht to denote master and slave or lord and bondsman. 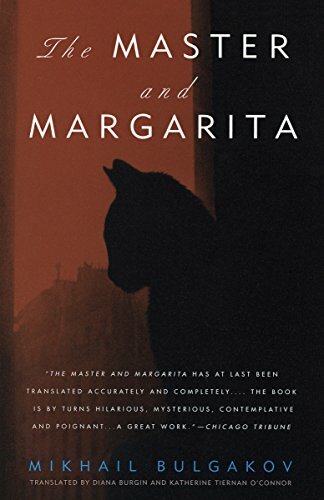 The Master and Margarita is a novel by Mikhail Bulgakov, with a steadily growing reputation as one of the greatest works of 20th century literature. Bulgakov started writing his most famous and critically acclaimed novel in 1928. After completing the first draft in 1936, he continued revising it until his death in 1940. A censored version of the book was first published in serialized form in 1966-1967. The first complete version was published in Moscow in 1973. The novel alternates between two settings. The first is 1930s Moscow, which is visited by Satan in the guise of Woland, a mysterious magician of uncertain origin, who arrives with a retinue that includes a walking, talking black cat and a witch. The havoc wreaked by this group extends from the exclusive haunts of the literary elite, to the corrupt bureaucracies, to an insane asylum, where we are introduced to The Master, a mad and disillusioned author. Eventually, we are introduced to Margarita, the Master's mistress, who makes a bargain with the devil on the night of his Midnight Ball, or Walpurgisnacht, which is vividly described. The second setting is within the pages of the Master's rejected novel, which concerns Pontius Pilate, his meeting with, recognition and abandonment of Yeshua Ha-Nosri (Jesus), and the consequences thereof. Ultimately, the novel deals with questions of good and evil, guilt and cowardice, exploring such issues as the responsibility one has to support a truth that a system or society would deny.